April 26th, 2019. Tartan-Turban Reading Series hosted by Michael Fraser, Barrett and Welsh, Toronto, 7pm. April 30, 2019. Art Bar Poetry Series, Asian-Canadian Heritage Month Kick Off hosted by Puneet Dutt, with Manahil Bandukwala and Chuqiao (Teresa) Yang, Free Times Café, Toronto, 8pm. May 7th, 2019. eh List event for Refuse: Canlit in Ruins, with Hannah McGregor, Julie Rak, Erin Wunker, Gwen Benaway and Dorothy Ellen Palmer. Breton Hall, Toronto Reference Library, Toronto, 6:30pm. March 30th, 2019. What are the Poets Doing Ottawa Launch at Versefest 2019, with Linda Besner, Armand Garnet Ruffo and Rob Taylor Knox Presbyterian Church, Ottawa, 4:30pm. March 28th, 2019, What Are the Poets Doing Toronto Launch, with Linda Besner, Karen Solie, Rob Taylor and special guests, Queen Books, Toronto, 6:30pm. March 21st, 2019, Coming Together: Four Poets at The Local, with Annick MacAskill, Nanci Lee and Katie Clarke, The Local Pub, Halifax NS, 7pm. March 19th, 2019, Reading at Alumni Memorial Hall, University of New Brunswick, Fredericton, NB, 7:30pm. February 26, 2019. Archibald Lampman Poetry Reading, Trinity College, University of Toronto, 5pm. January 21, 2018. Frostbite: A Literary Icebreaker of an Evening, with Erin Moure, Michael Turner, Adebe DeRango-Adem, Spencer Gordon, Djamila Ibrahim, Catriona Wright, Dominique Bernier-Cormier, Victoria Hetherington, Chris Bailey and Paul Carlucci. Gladstone Hotel, Toronto, 7pm. December 3, 2018. Brick 102 Launch, Gladstone Hotel, Toronto, 7pm. November 18, 2018. Draft Reading Series, St. Matthew’s Clubhouse, Toronto, 3pm. October 16, 2018– Reading with Korey Williams, hosted by Michael Prior, Buffalo Street Books, Ithaca, NY, 5pm. October 10, 2018– Toronto Book Awards Readings, Bram and Bluma Appel Salon, Toronto Reference Library, Toronto, 7pm. April 18, 2018– Poetry London, London Public Library, London ON, 7:30pm. November 24, 2017– University of Saskatchewan, Stewart Montcalm Room at Marquis Hall, Saskatoon, 7pm. November 21, 2017–Winnipeg launch of Shirley Camia’s Children Shouldn’t Use Knives. McNally Robinson, Winnipeg. 7pm. October 21, 2017– Toronto Lit Up Launch of Launches, IFOA, Lakeside Terrace, Harbourfront Centre, Toronto, 5pm. October 17, 2017– Canadian Writers in Person, 206 Accolade West Building, York University, 7pm. October 13, 2017– Poetry Cabaret with Jordan Abel, Billy-Ray Belcourt, Hera Lindsey Bird, Lorna Crozier, Clea Roberts and Jamie Sharpe, Calgary Wordfest, Big Secret Theatre, Calgary, 9:15pm. 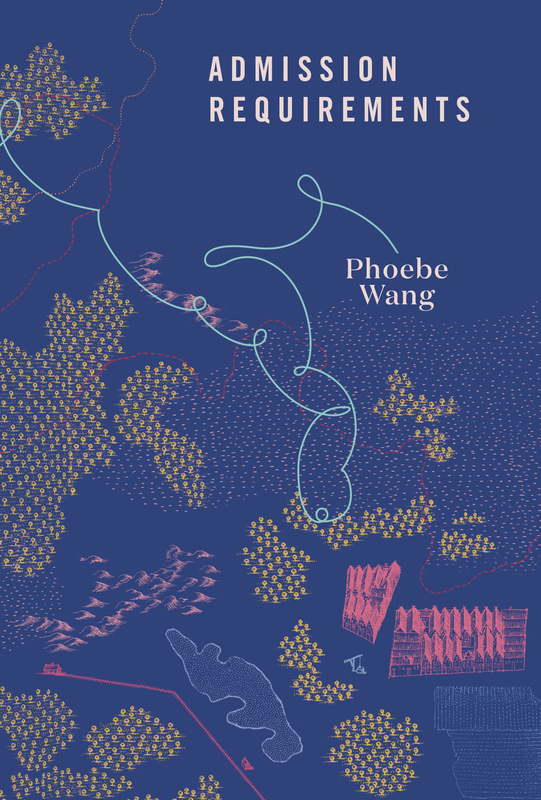 October 5, 2017– Toronto launch of Leanne Dunic’s To Love with Coming End, with Jasmine Gui, Glad Day Bookstore, Toronto, 6-8pm. September 28, 2017– Speakeasy Launch: The Unpublished City, hosted by Simone Dalton and Ambika Thompson, The Steady Café, 7pm. September 24, 2017– Mapping Toronto: Stories from the Six. Diaspora Dialogues at Word on the Street Festival, hosted by Aparita Bhandari, Toronto, 11am-1pm. July 20, 2017– Words(on)Stages with Kate Hargreaves, Domenica Martinello and the 2017 Blodwyn Memorial Prize Winners, KnifeforkBook, 7pm, Toronto. June 22, 2017–Toronto Lit Up/IFOA: The Unpublished City. Lakeside Terrance, Harbourfront Centre, 7:30pm. Toronto ON. June 4, 2017–Montreal launch with Suzannah Showler, Tess Liem and Tara McGowan-Ross. Librarie Drawn & Quarterly, 7pm. May 24, 2017– Spark, Tinder and Fuel with Kevin Spenst and Elizabeth Ross. Type Books, Toronto. May 3, 2017– Pivot Reading Series with Sue Sinclair, Susan Holbrook and Nick Thran. Steady Café, 8pm, Toronto ON. April 28, 2017– Border Blur Reading Series/In the Soil Festival with Christopher Dewdney, Sarah Pinder and Moez Surani. Niagara Arts Centre, 7:30pm, Saint Catherines ON. April 25, 2017– Icehouse and Friends Spring Poetry Launch with Allison LaSorda, Emily Nilson and Emma Healey. Steady Café, 7:00pm, Toronto ON. April 6 & 8th 2017. Spur Toronto 2017. Opening for Books that Spur: Lynne Olson on ‘Last Hope Island’, George Ignatieff Theatre, 5:30pm; and Risk and the Psychology of Collecting, Gardiner Museum, 10am. April 3, 2017– eh List Author Series with Roo Borson, hosted by Anne Michaels, Toronto Reference Library, 7pm. April 2, 2017– gritLIT in partnership with the LitLive Reading Series with Andrew Baulcomb, Graham Jackson, Joe Ollmann, Molly Peacock, and Sarah Raughley. Staircase Theatre, Hamilton ON. 7:30pm. March 27, 2017– McClelland and Stewart Poetry Launch with Susannah Showler, Aisha Sasha John, Roo Borson, hosted by Anne Michaels. Monarch Tavern, 6pm. March 26, 2017– Versefest Ottawa. Arc Poetry Afternoon with Jill Jorgensen, Lisa Robertson and Robyn Sarah. Knox Church, Ottawa. 3pm. March 20, 2017– An Evening with Al & Leonard: A fundraiser for the Al Purdy A-Frame, with Doug Paisley, Max Layton and Damian Rogers, Monarch Tavern, 6pm. $5, students free. March 16, 2017– Balderdash Reading Series with Doyali Islam, hosted by Sanchari Sur. Wilfred Laurier University, Robert Langen Art Gallery, 7pm. February 28, 2017– Shab-e She’r (Poetry Night), hosted by Bänoo Zan. Church of St. Stephens in-the-Field, 103 Bellevue Avenue, Toronto. October 15, 2016– Launch of Ruth Roach Pierson’s Untranslatable Thought with Jacqueline Bourque, Dorothy Glick, Richard Greene, Jim Johnstone, Laura McRae and Al Moritz. 2pm. Abbezzo Gallery, 401 Richmond, Toronto. September 14, 2016– Brockton Writers Series with Madhur Anand, Jeremy Hanson-Finger andShane Joseph, hosted by Farzana Doctor and Dan Perry. 6:30pm. Full of Beans Cafe, Toronto. May 24, 2016– Desert Pets Press/The Emergency Response Unit Press Launch with Michelle Brown and Brooke Lockyer. 7:30pm. Reunion Island Coffee, Toronto. April 28, 2016– Invisible Press Launch with Andrew Forbes and Brent van Staalduinen. 7pm. Holy Oak Café. April 15, 2016– Hart House Review/25th Anniversary Issue Launch, 8pm. Hart House. April 10, 2016– Designing our Shared Landscape, Spur Festival. 11am. Hart House: Debates Room. December 3, 2015– Looseleaf Magazine Issue #1 Launch, Beit Zatoun, Toronto, 6:30pm. Hosted by Projectx40 Collective. October 24, 2014– Grey Borders Reading Series, hosted by Craig Dodman with Karen Enns, Stevie Howell and Stan Rogal. Niagara Artists Centre, St. Catherines, ON. August 18, 2014– Readings at the Common, hosted by Daniel Kincade Renton, with Laura Clarke and E. Martin Nolan. The Common, Toronto, ON. 8:30pm. July 21, 2014– Echolocation Reading Series #4 (Satellite Event), with Laura Ritland, Suzannah Showler and Sheryda Warrener. Paperhound Bookstore, Vancouver, BC. 7pm. May 25, 2014– Soirée de Refusés @ Congress, hosted by Gregory Betts and Tanis MacDonald, with Charmaine Cadeau, Nathan Dueck, Peter Midgley, Shannon Maguire, James O’Suillvan, Andy Weaver, Colin Martin and Eric Schmaltz. Niagara Arts Centre, St. Catherines, ON. 8-10pm. May 7, 2014– Small Books, Big Country: A Chapbook Tour & Echolocation Reading Series, with Kevin Spenst and Souvankham Thammavongsa. Jackman Humanities Building, 170 St. George Street, Toronto, ON. 5-7:30pm. November 20, 2013– Odourless Fall Launch, with Jeramy Dodds, Spencer Gordon, Stevie Howell and Mat Laporte, hosted by Bardia Sinaee. No One Writes to the Colonel, Toronto, ON. July 9, 2013 – Disquiet ILP Participant Reading, hosted by Portuguese Artists Colony Reading Series, Grémio Literário, Lisbon, Portugal. April 23, 2012– MA in Creative Writing Graduate Reading, with Laura Hartenberger, Melissa Kuipers, Jennifer Last, Molly Lynch, Susannah Showler and Andreas Vatilitou, hosted by Michael Winter. The Supermarket, Toronto, ON. March 27, 2012– MA in the Field of Creative Writing Gala, with Anne Michaels, A.F. Moritz and Andreas Vatilitou, hosted by Richard Greene. Thomas Fisher Rare Books Library, University of Toronto. April 20, 2011– Diaspora Dialogues Launch TOK 6 Anthology, with Rishma Dunlop, David Layton, Karen Connelly, Pradeep Solanki and Joanne Pak. Gladstone Hotel, Toronto, ON.